Iceland is a rough place, dominated by the bare elements of Water and Ice, Rock and Fire. It is so rough because it is a relatively young place on earth, only 20 million years, and because of its location near the arctic circle. In places where vegetation has taken hold, it is full of lush pastures, full of grazing sheep and ponies. Other areas are dominated by vast volcanic deserts and glaciers. The history of Iceland is fascinating and this big rock in the Atlantic turned the Icelanders into a very hardy, self-reliant people. Yet, the Icelanders also boast the oldest parliament in the world: the Alþingi was established in 930 A.D. and convened at Þingvellir until 1799. 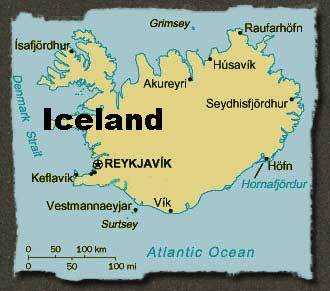 In June 2005, we spent five days exploring Reykjavik and the southern coast of Iceland. On this site I want to share some of the images of this journey with you and invite you to find out more about this beautiful, amazing place. Click on the map to see an overview of our trip, or explore the different areas from the main menu above.